With the midterm elections fast approaching and Democrats riding a clear advantage on health care, many Republicans are nevertheless doubling down on largely unpopular ideas like repealing the Affordable Care Act and cutting Medicare. Between the lines: This strategy may seem counterintuitive on its face. However, it likely reveals that the party has all but abandoned independent voters this year and instead is focused on turning out its base. The big picture: Republican leaders have recently become more public about the likelihood of trying again on ACA repeal, whereas a few months ago it was largely a private assumption among the party. Vice President Mike Pence told reporters in Wisconsin that if the GOP candidate wins the Senate seat there, the effort will be revived, per The Hill. “We made an effort to fully repeal and replace ObamaCare and we'll continue, with Leah Vukmir in the Senate, we'll continue to go back to that," he said. “We need to win this election and then get more seats next year" before trying again, GOP Whip Steve Scalise told the AP. ACA repeal only resonates well with one group of voters: registered Republicans. “It’s all about the base, because as far as I can tell, they’ve lost the independents, there’s no one left to woo," said conservative economist Doug Holtz-Eakin, a former campaign aide to John McCain. 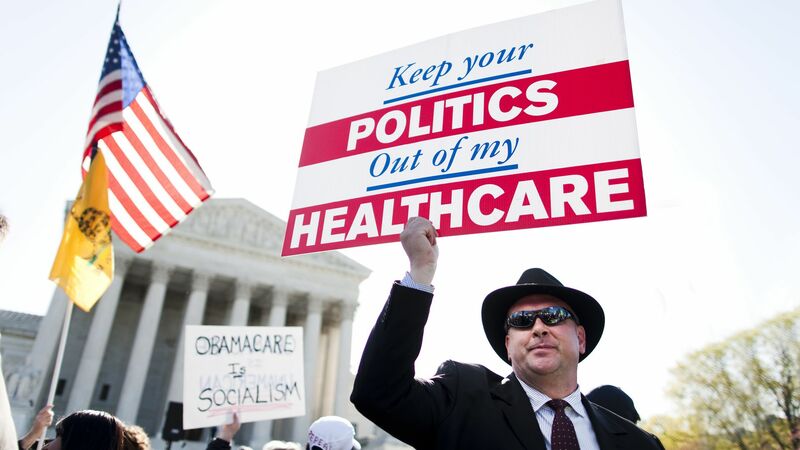 "The Republicans face a very odd problem…when you ask actually registered voters what they want to do with the future of the ACA, no one wants to repeal and replace it except the Republicans, which the majority do," said Robert Blendon of Harvard's School of Public Health. “If you are looking at the aggregate, you can't imagine why you’d even mention it. But if you’re trying to encourage your own voters…then they're trying to say that we would come back and try to do something," Blendon added. It's not just the ACA: Larry Kudlow, President Trump's top economic advisor, recently said that the administration will probably look at entitlement cuts next year, per CNBC. Some candidates, including vulnerable House members like Reps. John Faso, Peter Roskam and John Culberson, have recently discussed the need to rein in spending on entitlement programs like Medicare and Social Security. There's risk to this strategy as well. Although the bet is that the GOP base is concerned with deficits, "as soon as the other side switches to 'you're going to cut back Medicare and Social Security,' you're on the wrong side," Blendon said. "The highest turnout rates are among people above 60." Like clockwork, the DNC blasted out an email criticizing Kudlow's comments, saying that he "admitted that Republicans will try to cut vital programs relied upon by millions of working families."